The Independent Film & Television Alliance (IFTA) presented their 15th annual production conference April 25 at the InterContinental in Century City, This year's theme was "Straight to... Theatrical! The Expanding Arena for Independent Filmmakers." This year's keynote speaker was Cassian Elwes, CEO of Elevated Film Sales. 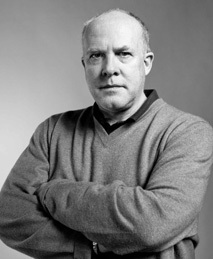 Elwes has a long career as a producer and is considered an expert in arranging financing and distribution for independent films, having done so for 283 films during his tenure at William Morris Independent. Earlier, he financed the Academy Award-nominated Slingblade and The Apostle, followed up by Monster's Ball, which won the Best Actress Oscar for Halle Berry. More recently he produced Lee Daniels' The Butler, exec produced All is Lost, and arranged financing for Oscar-winner The Dallas Buyers Club. He began his speech by lamenting the current state of the studio film industry. "We've entered the Comic Book Era." Citing such examples as Sony's Spiderman franchise and Fox's Xman series, he bemoaned their effect on smaller, more meaningful films. "Studios make less movies [overall] as these budgets go higher and higher." He addressed the effect this has had on actors. "Actors who used to make 20 million a picture now make 10 million. Those who made 10 million now make five, and those who made five are just trying to find a job." He added that the studios have "made the agencies complicit....agents are telling their stars to appear in the comic book films because they will be seen by so many people. Robert Redford was incredible in All is Lost. What is he doing in Captain America?" Elwes said that the young moviegoing audience is being under-served. "My fear is that we are creating a generation of filmgoers who believe these films are the pinnacle of filmmaking. How many sequels can you really make? Fast and Furious 37? Years from now they'll jump in their cars and have the tremendous advantage of being able to park in the handicap spaces." But Elwes sees opportunities for independent film even in the current environment. "Actors want to make these films" because of the award winning-roles these films offer, which can be evidenced by the recent acting Oscars for Dallas Buyers Club, 12 Years a Slave, and Blue Jasmine. And, he believes, audiences want to see them, as evidenced by the successful box office of many of them. Elwes ended by encouraging the audience to "make films that count, that have heart, that will save the soul of a generation of young filmgoers. I hope you do what I do everyday. I challenge the system and I dare you to do the same."